Decon Melbourne "a level above the others!" 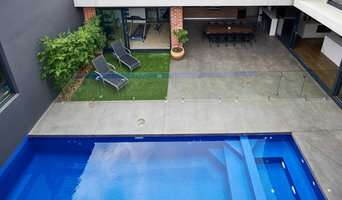 Decon Melbourne P/L Landscape Design, Construction and Maintenance. Finally garden design and construction company with you in mind. We only concentrate on one garden at a time. we are on site everyday until completion perfection is achieved. Truly, a level above all others. Design for you the client, not for us! Hands on construction and total project management from start to finish. On going care to ensure the desired look and feel is achieved and kept that way. Award-Winning Landscape Design & Construction to Residential and Commercial Properties Landart Landscape Design & Construction was established in 2007, out of a strong passion & desire to create stunning timeless gardens. At Landart we provide a tailored Design & Construction service throughout greater Melbourne & Victoria. With over 14 years experience within the Landscape Industry, Director, Simon Buchanan leads both our Design & Construction teams. From consultation to completion, Simon will be at hand every step of the way. This personalised approach is a mantra of Simons & comes with a wealth of experience & knowledge. Our landscape designs are customised to our clients lifestyles, combining innovative design principles with functionality to create beautiful lasting landscapes aimed at enhancing the lifestyles of our clients. Our professional construction team will then transform your dreams into a reality. Comprising of qualified tradesmen in landscaping, carpentry, bricklaying, concreting & many more, Landart has the resources & experience at hand to construct projects that are built to last. At Landart we are committed to offering the highest standard of quality & workmanship and, in turn continually strive to achieve excellence within the Landscape Industry. Horti Couture Landscape Architecture is a professionally qualified design practice focused on providing its clients with an exceptional creative landscape design experience. Interpreting each client's unique desires and budget in conjunction with each sites particular opportunities and constraints we aim to present the most appropriate design resolution. 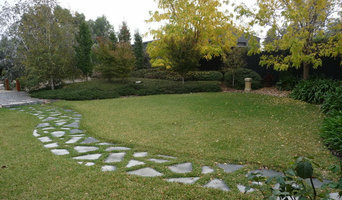 Exquisite Gardens are Melbourne's leading landscape design, construction and garden maintenance company. We have been designing and building innovative landscapes for over two decades and we are extremely proud of our achievements in designing tailored lifestyles to our clients and their families. Design and make outdoor mirrors (also suitable indoors), wall art and sculptural pieces. Custom made in Melbourne, enquiries welcomed. We create beautiful gardens, up high and down low. On the roof, up a wall, on a podium or in the ground. We design and manage green roofs and vertical gardens. Helping to bring nature back to our buildings and cities. A residential landscape and garden design service. Gary has a science degree with a diploma of Horticulture at Burnley College (University of Melbourne) and Cert IV in Applied Design (Landscape) at NMIT. His career with plants and gardens has also been as a teacher of Environmental Science, mathematics and Horticulture. This has included a stint of several years at the Royal Botanic Gardens Melbourne and Healesville Sanctuary. Drawing on this background, Arcadia has a working knowledge of how people relate to gardens and plants and what garden designs work best. Gary works with trusted teams of contractors who can take the plans he has developed with you to fruition. FREE LANDSCAPE DESIGN CONSULTATION Get a free introductory consult to your home to explore: -Your garden concerns -New possibilities for your garden -What a garden design could do -The process and cost for your situation. Get some help from a Melbourne Landscape Designer with with a Passion for Places with Plants – for People. Out From The Blue was established in 1995 with a vision to seamlessly integrate contemporary landscape design with high quality construction of concrete swimming pools. Based in Melbourne, Australia, OFTB has grown to comprise a team of landscape architects, horticulturists and in-house pool builders who work closely on each project to create highly individual, imaginative and exciting landscape outcomes. The evolution of design at OFTB has increasingly seen the methods and materials from other design disciplines such as furniture design, interior design, lighting and architecture innovatively interpreted into a landscape context. Now one of inner Melbourne’s leading residential landscape architecture studios, our team is expanding its practice both interstate and internationally. Prue Watson specialises in contemporary classic landscape design & construction for large & small gardens, roof tops, terraces & courtyards for urban, coastal & rural clients throughout Victoria. Is a small Melbourne based boutique landscape design practise that aspires to create gardens which exploit the designated areas and environs particular to each individual property. We pride ourselves on tailoring your desires with our distinctive chic. 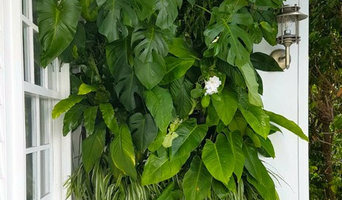 Since graduating from the University of Melbourne Burnley College with a Diploma in Horticulture (Landscape) Robyn Payne, Director of Robyn Payne Garden Design, has worked on many private and commercial gardens in a variety of styles. A well designed garden offers many distinctive advantages including appreciating the value of your asset to extending your living space. 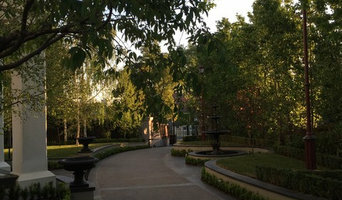 It is a space in which we can demonstrate our individuality, connect with nature, play, entertain and relax. It is a place to recharge our mind, body and soul. Niree is an approachable designer with a range of projects from high end residential to public spaces, community space garden design and planning applications. Specialising in turning 'problems' into features. 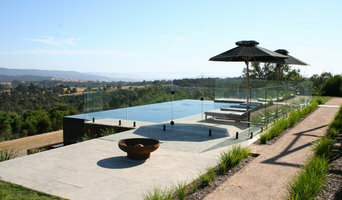 Experienced in outdoor design, pools, planting design, concept to construction documentation. Always excited to meet new clients and bring ideas to fruition. Niree also collaborates with other designers in technical water sensitive urban design, and feature public spaces such as playgrounds.